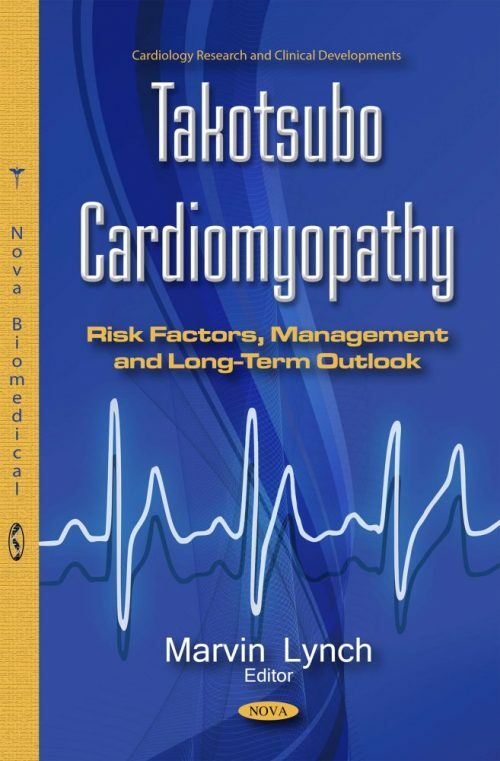 Takotsubo cardiomyopathy (TC) is a relatively new pathological concept in cardiovascular disease, originally described in the Japanese population at the beginning of the 1990s. It is a left ventricular dysfunction that resembles acute myocardial infarction. This book examines risk factors, discusses management options, and reviews long-term outlooks of TC. Chapter One and Chapter Two provide an overview of the pathogenesis, history, risk factors, management, and prognosis of TC. Chapter Three presents current knowledge on personality traits factors in TC. Chapter Four focuses on the types of arrhythmias that occur in patients with this syndrome. Chapter Five studies biomarkers in TC. Chapter Six and Chapter Seven discuss the roles of multimodal imaging in TC. Chapter Eight examines possible electrocardiogram (ECG) clues that can make a TC diagnosis more likely, and describes common and uncommon ECG features in TC, along with their temporal modifications. Chapter Nine reviews the connection of TC and dental procedures. In the last chapter, Chapter Ten, the authors describe the link between health-related quality of life (HRQL) and emotional burden subsequent to cardiac events in stress cardiomyopathy patients.